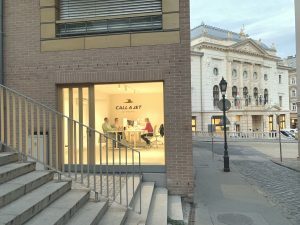 We are happy to announce the opening of our new Call a Jet office in the heart of Budapest, just around the corner of the world famous Chain Bridge. Please welcome our new members Anita Mezei and Gabriella Czibula. They can’t wait to serve you. For us Budapest is one of the most beautiful and romantic cities in the world. The city opened up very much for tourism and offer you endless attractions all year long. Our team would like to show it to you. You will love it! Anita, Gabriella and our driver Otto can help you with flights, (private or commercial) VIP Airport services / Hotels, limousine transfers, personal tour guides.